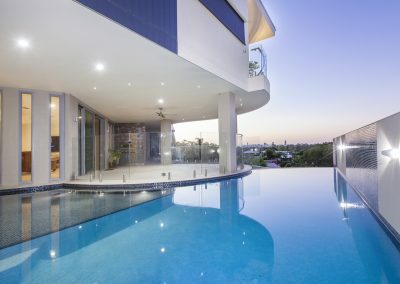 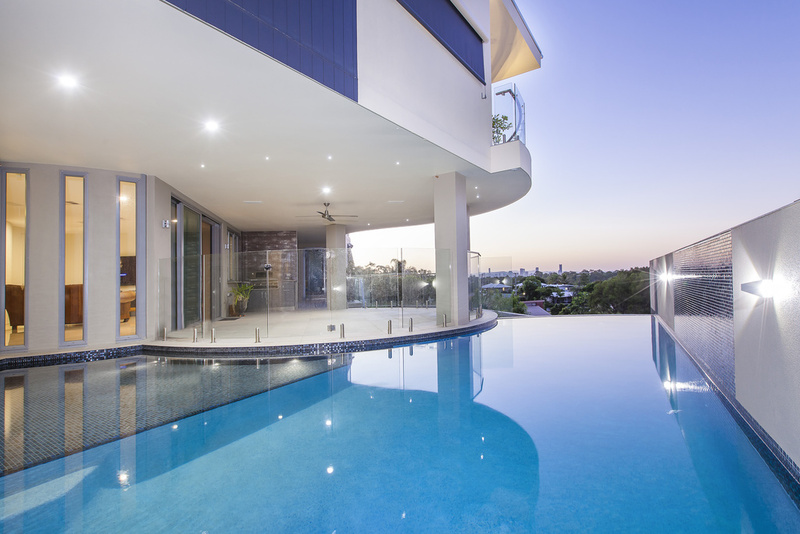 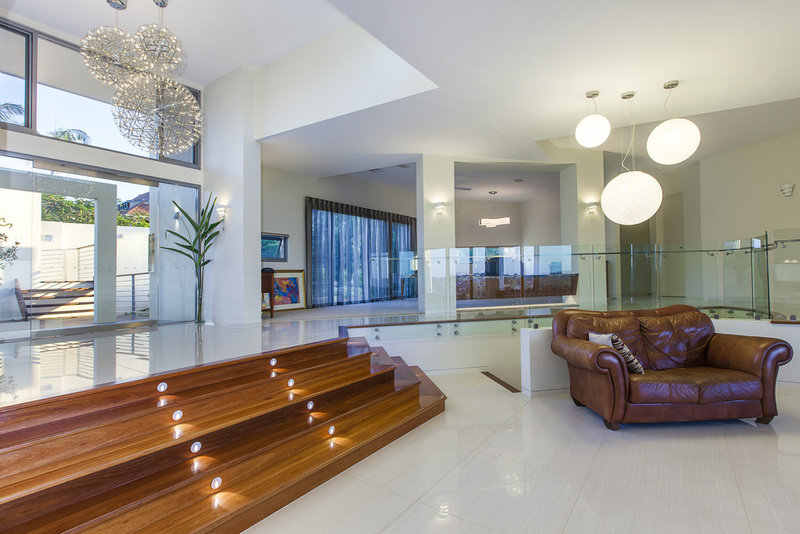 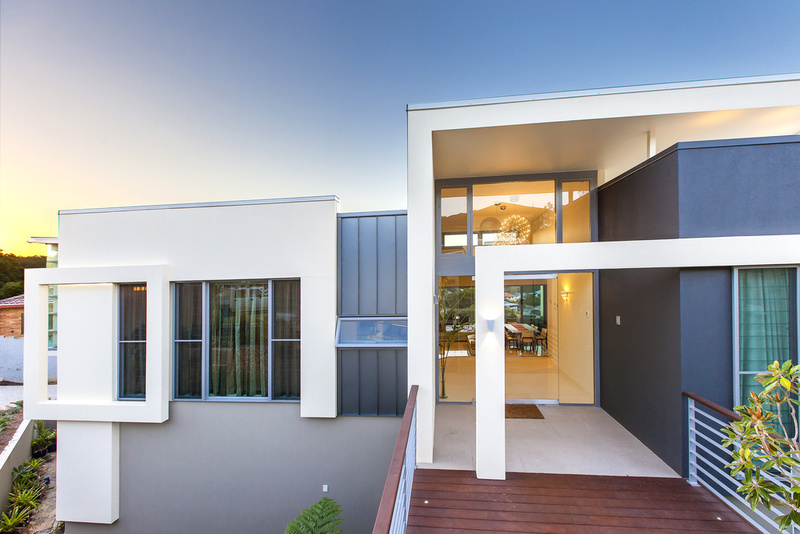 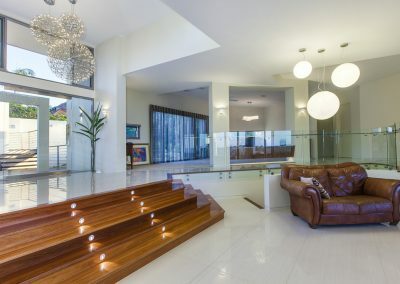 This fashionable home by the Christopher Design Group is located in Brisbane’s Carina Heights and has been designed to capture the city views from its elevated position. 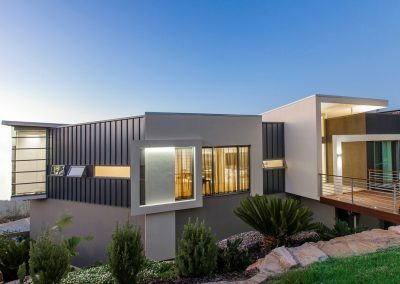 The site was challenging due to its steep slope from the street level and in order to achieve this stunning result, the home has been designed over five levels (two split levels and a separate level for the garage). 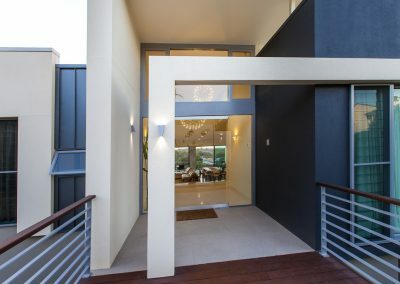 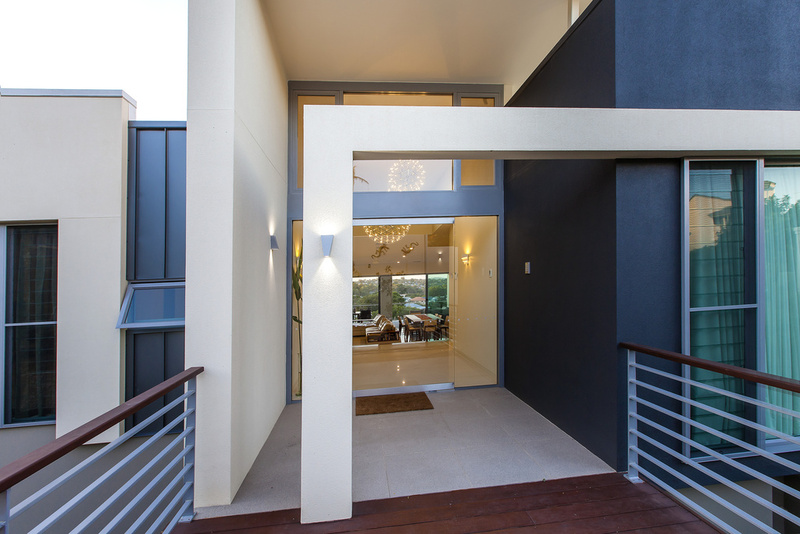 The entry to the home is via a suspended bridge allowing access directly into the upper levels of the home, from which you can immediately enjoy the city views. 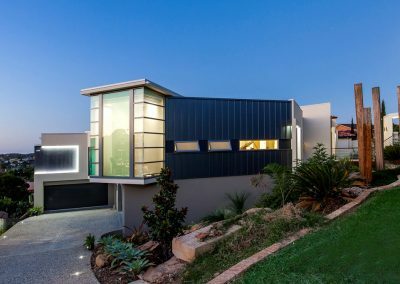 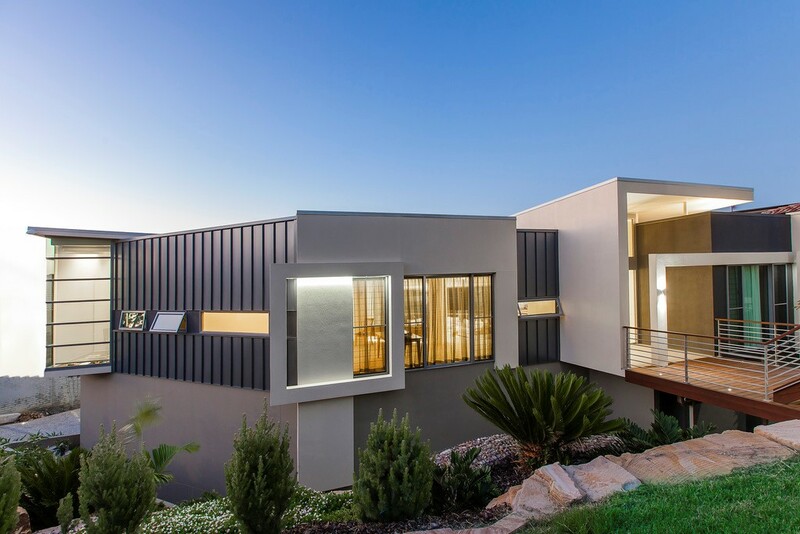 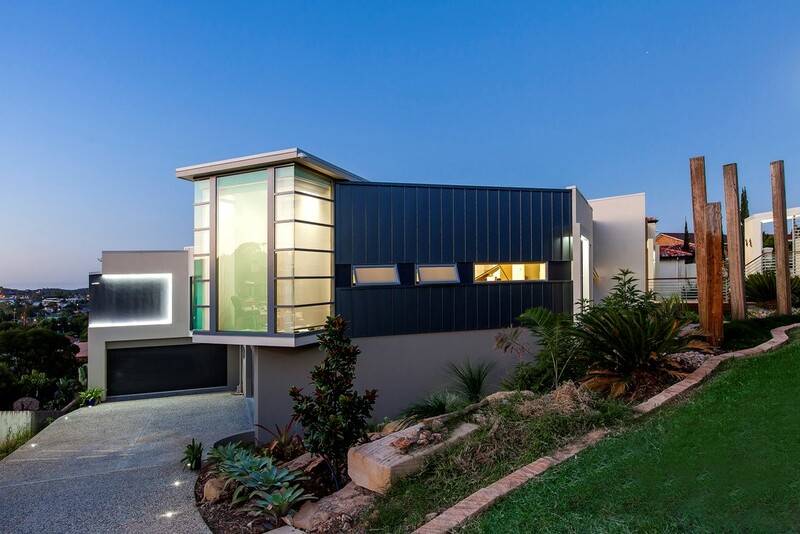 The home uses a mixture of materials, one of which is the Metallic Colorbond cladding to provide a dynamic element to the home, as the colour changes when the sun sets and rises. 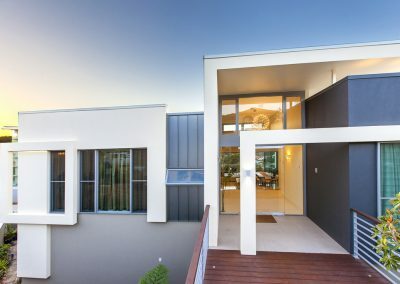 Breezway Louvre Windows are installed near the front entrance of the elegantly designed home to capture fresh breezes to ventilate and flow throughout the main living areas.